Railpictures.ca - Michael Da Costa Photo: A widecab SD40-2 leads the test train that is about to pound the CP connecting track diamond testing the Weston Sub all the way to Halwest. So much of this area has changed, the diamonds at West Toronto are no more and the Weston Sub now owned by Metrolinx goes under the CPR and this crossing. | Railpictures.ca – Canadian Railway Photography – photographie ferroviaire Canadienne. 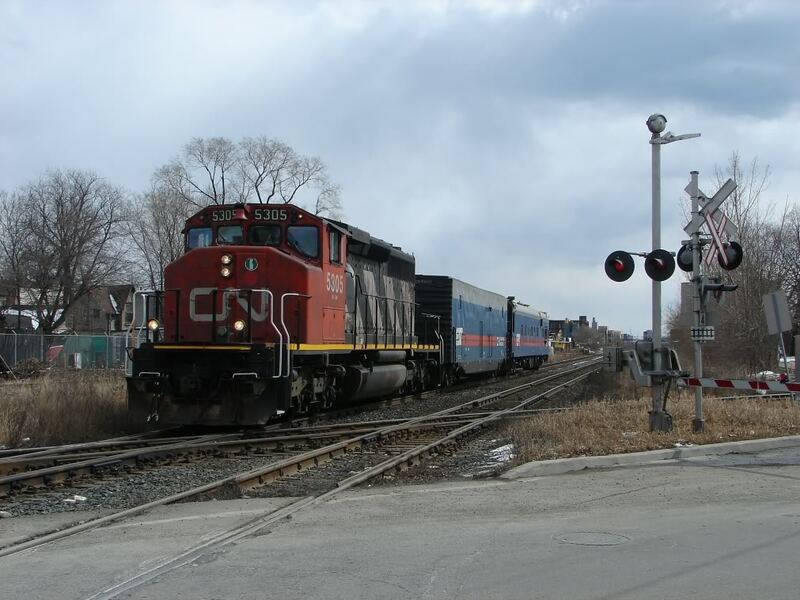 Caption: A widecab SD40-2 leads the test train that is about to pound the CP connecting track diamond testing the Weston Sub all the way to Halwest. So much of this area has changed, the diamonds at West Toronto are no more and the Weston Sub now owned by Metrolinx goes under the CPR and this crossing.